Why use fine art and real-world photos to inspire discussion? Research shows that students who develop strong vocabulary skills go on to develop strong reading comprehension skills. 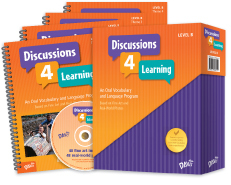 The most effective way to build student vocabulary is to give your students frequent oral language experiences.